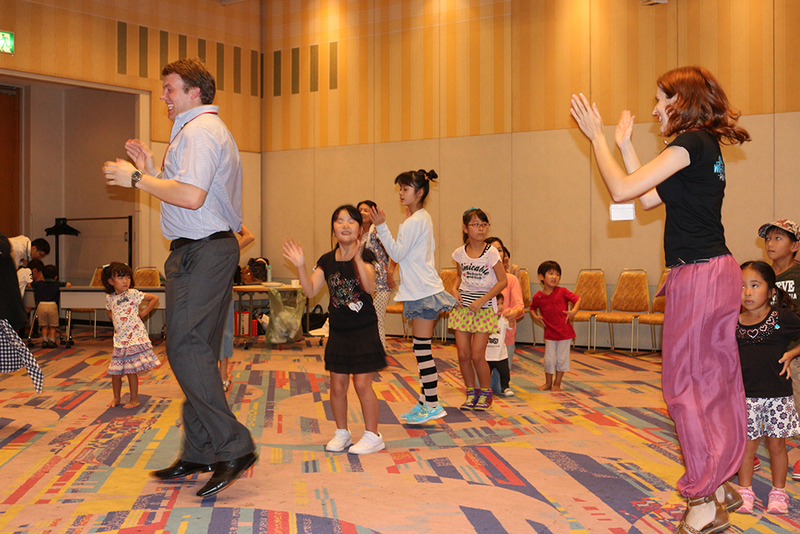 Summer Kids Program, an event for kids to experience foreign games, dance and activities was held on 18th August. 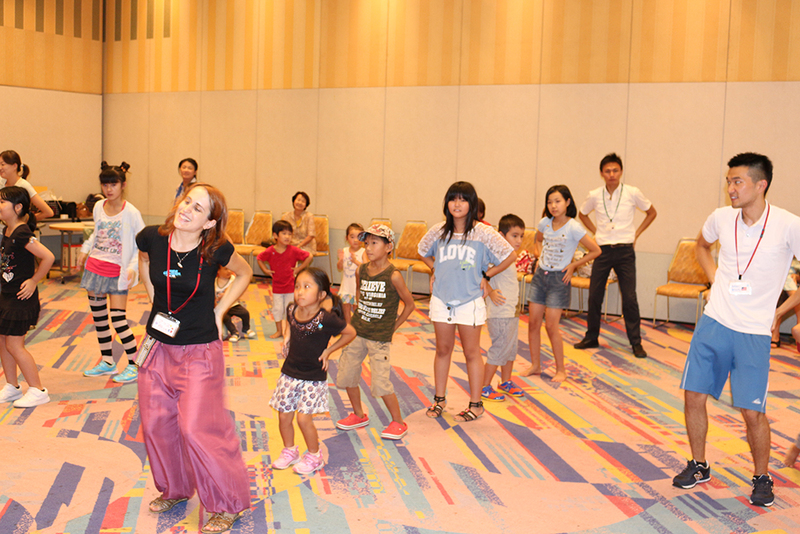 The kids had fun learning hip hop dance, a French relay game, the Macarena and much more! The bingo game I organised allowed the kids to become familiar with foreign languages by having them line up animals which were called out in English. I hope the children had a great time with us CIRs. I had a lot of fun in Kameoka. We got down with the kids and parents with cool hip-hop moves and had a nostalgic time doing the Macarena. I have been slacking off on exercising lately, so I was especially happy to work up a sweat at the event. Keep your body moving! I hope to see you at the next event! I just started working as a Coordinator for International Relations so I had never done a kids even before. It was my first time to stand in front of a crowd of kids and dance around so I was really nervous. After I got used to it though, I really enjoyed dancing around with everyone and playing animal bingo! The kids all seemed really happy to be there and that made helping out that much easier. I can’t wait to do an event like that again! 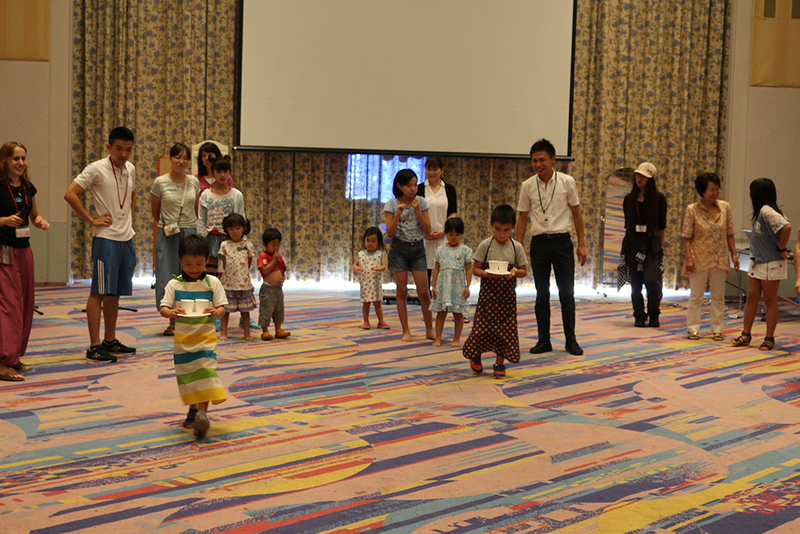 I’m really glad I got to have fun with the children in Kameoka for one day thanks to this event. We had children from all ages, ranging from very young to the last year of elementary school, so I decided to do a fun game in which anybody could participate. I called it “the French Coffee Shop” and had participants put an apron on, hold a plate with paper cups full of ping pong balls in one hand and rush accross the room as fast as they could. Lots of laugher and good memories were made on this day! 舞鶴市国際交流員の崔です！　Cui, the CIR from Maizuru here! I already knew of Maizuru as a port town, but thanks to the “Umi Festa” festival held here, the gate to the seaside of Kyoto, I was finally able to connect both the historical and coastal aspects of the Prefecture. Umi Festa is held every year in one of the main ports of Japan for 2 weeks around the period of “Umi no Hi” (Sea Day, a national holiday in Japan). It aims at remembering the purpose of that day, which is to feel grateful for the sea and pray for the prosperity of the island country that is Japan. During this period, many events related to the sea are organized. 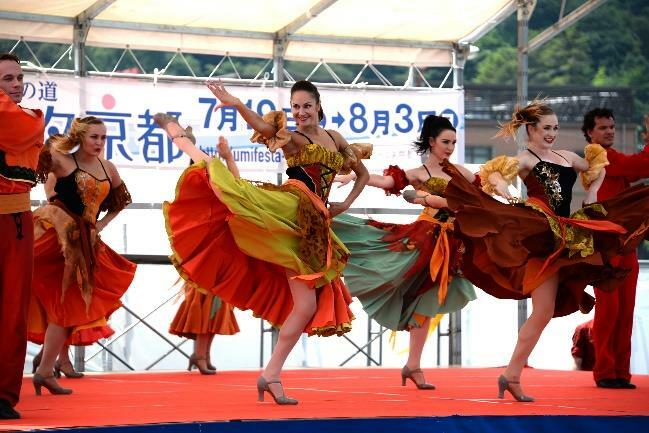 With more than a hundred thousand people participating, it’s one of the biggest events in Japan and was held from July 19th to August 3rd in Maizuru this year. 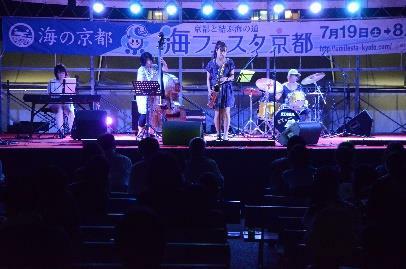 I participated in the Umi Festa on both a work and private level, creating many wonderful summer memories. 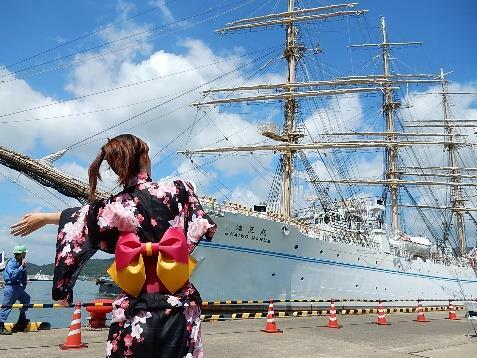 One of the main attractions of Umi Festa is the impressive number of ships entering the port and the events held there. I was able to discover many boats I didn’t know about and their particularities. It really felt like a boat exhibition. 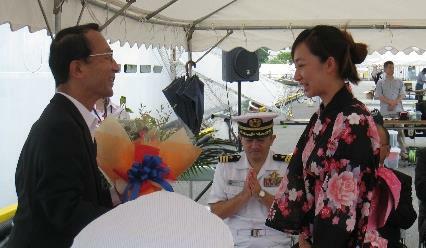 As part of the welcome ceremony for the deep sea research ship “Kairei” I had the chance to wear yukata for the first time in my life and give a flower bouquet to the ship’s captain. “Kairei” researches earthquakes and ocean trenches and owns the research device “Kaikou”, able to go up to 10,000m underwater in places such as the Mariana trench. I was really glad to meet the staff of this boat with such advanced technology and which challenges itself into unknown territories. 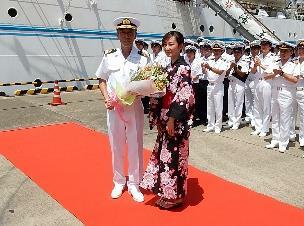 I also welcomed the “Kaiomaru”, a practice sailboat nicknamed “the Lady of the Sea”. 115 young interns around 20 years old learn the difficult techniques needed to manoeuvre a sailboat, and learn how to live together as a group as well. The main attraction with this boat was probably the live practice of deploying the sail. Many people came to see this and I was very excited too. The interns, using the skills acquired during their training, quickly climbed the 55m mast and swiftly deployed the sail. Watching this beautiful white sail across the blue sky, I was really impressed by their skills. 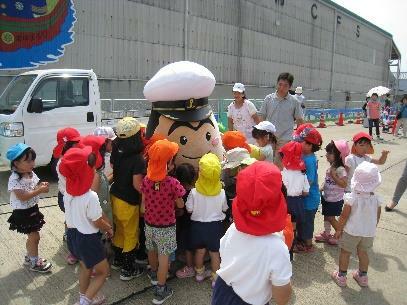 “Kaiomaru” was also welcomed by around 150 kindergarten kids at the port. They were holding thank you signs, and screamed “come back” and “take care” loudly when the ship left. 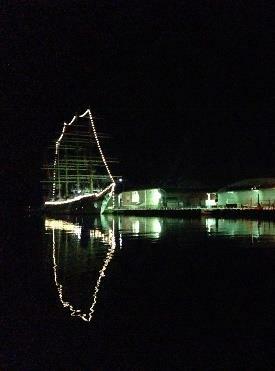 With such an experience, I’m sure the kids’ dreams about ships must have been strengthened. 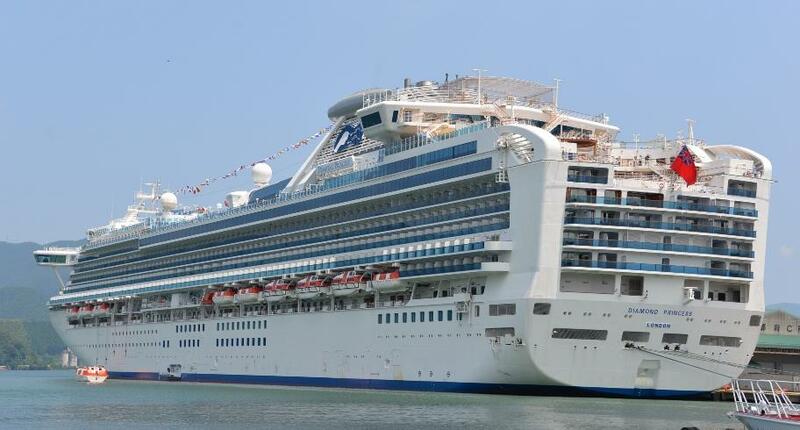 Big foreign cruise ships often come to Maizuru Port but during the Umi Festa, we welcomed the Diamond Princess, which can host up to 2670 persons and was the biggest cruise ship to ever enter Maizuru Port. It felt as if a luxury hotel had just appeared. From its entering at 6am on July 21st to its departure at 8pm, many lively events were organized in the surrounding area. Special shows that can usually only be seen on board were staged on the pier, and passengers and local inhabitants were able to meet each other. I acted as a guide for passengers and introduced them to my beloved Maizuru. As I’ve never been on a cruise ship, I was able to hear a lot of different stories and meet people from various backgrounds and cultures. Special events were organized every day during the Umi Festa in the western part of the port, and it felt like a completely different world than usual. 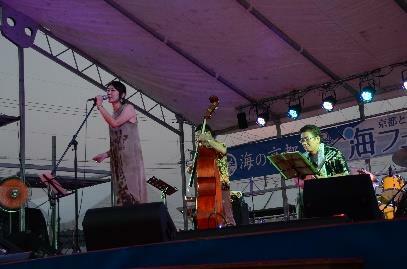 Being an adept of music, I went to a jazz concert organized in the evening. I discovered the romantic side of Maizuru as the stars lit the night sky and the “Kaiomaru” was being lit up. After being romantic though, you are usually hungry right? A special street of B gourmet stalls was set up, with delicious local delicacies from Wakasa, Obama and Tango but also famous food on the national level. Not only could you sample food from every area in Japan but you could also enjoy many events while eating. Being a lover of both good food and music, it was like paradise for me! My ears, eyes and mouth were all delighted! 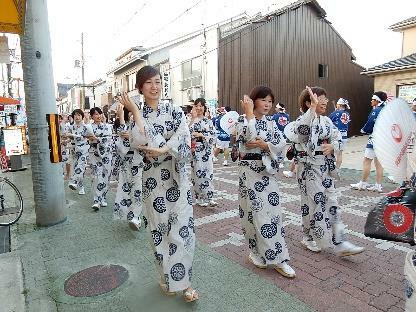 Traditional festivals were also held as part of Umi Festa. The “Chatta Festival” is usually held in Maizuru during this period. 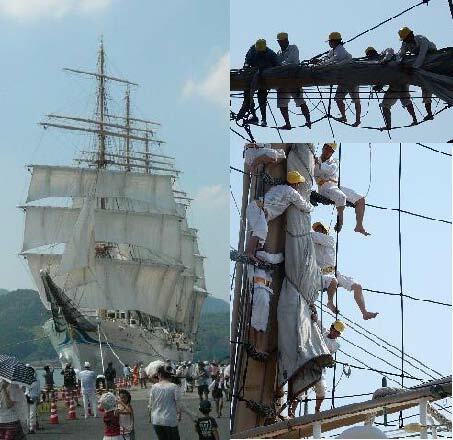 During this festival, special events are held in both parts of Maizuru (the western part which developed as a port town and the eastern part which developed recently). This year, I was able not only to see the festival but also participate in a popular dance called “Minyo-nagashi”, held in the shopping arcade of western Maizuru. 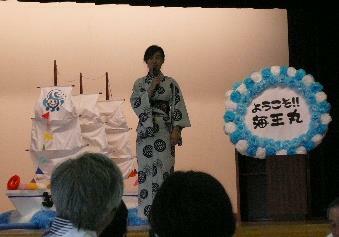 I wore the same yukata as other people in the city hall and danced the “chatta dance” with them. I meet other groups of people from organizations and groups I usually work with, and we compared our moves. Many people came to support us and we received water, tea and even sake from the shop owners. As part of the festival, there is also a Mikoshi (portable float) competition. Every group had put a lot of thought into the design of their float and I was very impressed. 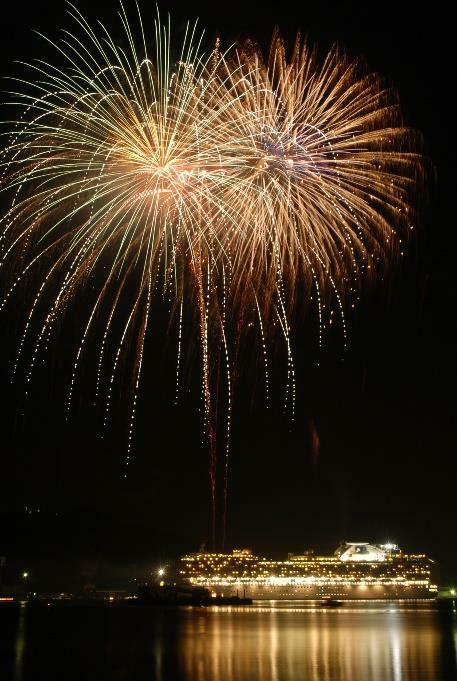 As a closing ceremony, 5,000 fireworks were launched in eastern Maizuru and around 40,000 visitors came. 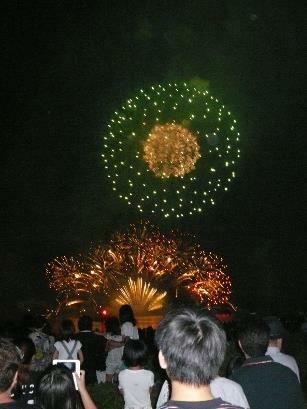 After the fireworks, I went to see the “Smile Illumination” in the Maizuru Red Brick Park. 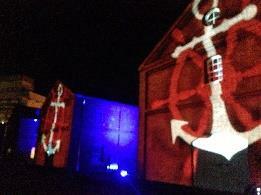 With the sea as the theme, a projection mapping was projected on to the red brick buildings. Everybody was really impressed by the work, and as awe spread through the crowd, I felt like standing at the meeting point of two cultures: the modern one with imaging and projection, and the traditional one with everybody in the crowd wearing traditional yukatas. 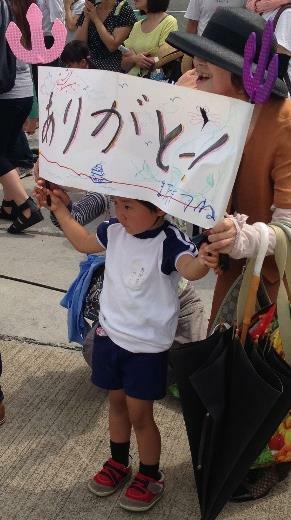 Through the Umi Festa, I was able to feel the link between people and the sea. Whether a small fishing village in the past or a big port like now, people living next to the sea receive many blessings. From everyday food to economic expansion of the area, the presents from the sea are many, teaching many things to people and giving them dreams and hope for the future. However, I felt that we should not only ask from the sea but also learn how to live with it and give back, treating it gently just as it does to us. Kyoto is not only a historical capital of a thousand years, but also has a strong link to the sea. 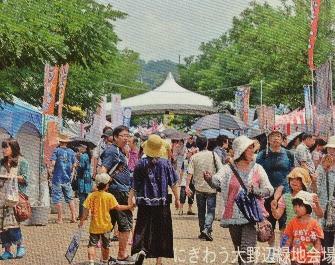 Thanks to the Umi Festa, local inhabitants and people from many other areas could meet. 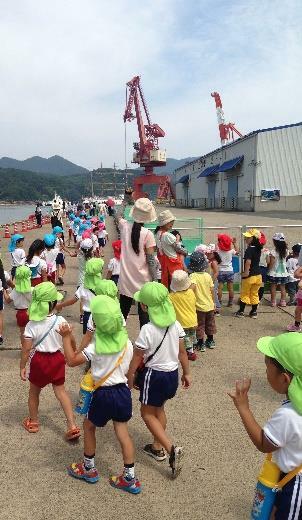 Among those, many children and young people were able to learn, feel and experience many things about the sea. For me, Umi Festa was an opportunity to rediscover the importance of the sea in the shaping of traditional culture, and create new bonds with people. I also got something precious: the will to give back and improve my hometown. Maizuru’s hot summer is now over. But as my stay here gets longer, I grow more and more familiar with Maizuru. I want to let as many people around the world as possible know about it, and be one of those who help make it a thriving area. Umi Festa may be over but please come to Maizuru! As part of the “International Cooperation Station” held on September 13th and 14th (Sat, Sun) in Kyoto Station, 4 CIRs of Kyoto Prefecture (Eric of Kameoka, Brian of Kizugawa, Jake of Seika and Alice of KPIC) will be organizing a multicultural experience workshop on September 14th (Sun). 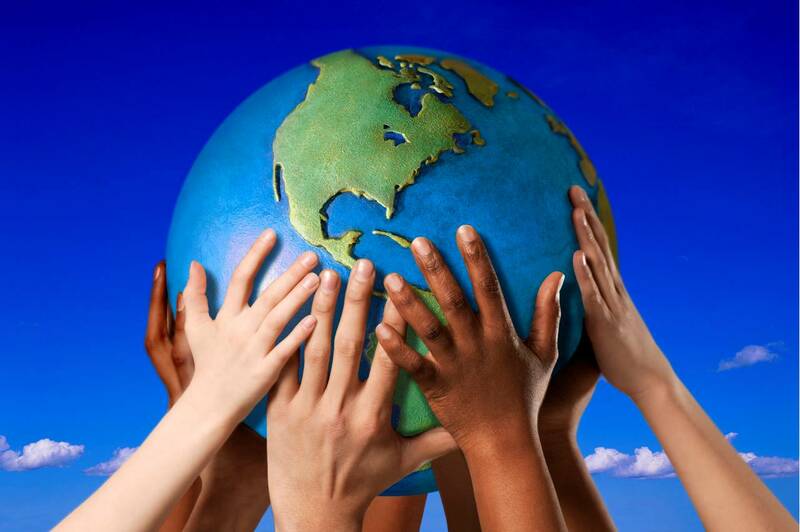 Experience cross-cultural communication and think about multiculturalism in this fun workshop! How about experiencing something different and leveling up your multicultural skills? We are still looking for participants, so we hope to see you next weekend!